You might notice that some of your swankier McDonald’s have self-order kiosks, which can streamline your ordering process—and also reduces the time you spend at the counter dealing with actual humans, if that’s not your thing. The drive-thru, however, remains an ordering hurdle, where the interaction depends on whether the employee on the other end of the mic can discern the foods you are shouting in the speaker (my kids often chide me for yelling too loud into the drive-thru, but I’m doing so in the hopes of avoiding the horror of an incorrect order). The tech tide is about to turn, McDonald’s drive-thru fans. CNBC reports that in its largest deal in twenty years, the leading burger chain is purchasing Dynamic Yield, a company that specializes in personalization and decision-logic technology. That new tech “will allow McDonald’s digital drive-thru menus to change based on different factors, such as the weather and current restaurant traffic.” Overall, the company is a bit vague on those technology details, citing attributes like “increase personalization and improve customer experience” in its official press release. The new decision technology will also be able “to suggest and display additional items to a customer’s order based on their current selections.” It will also be able to gauge when peak service times are, and will only post items that are readily available (so no Shamrock Shake display, apparently, if the shake machine is backed up at the moment). 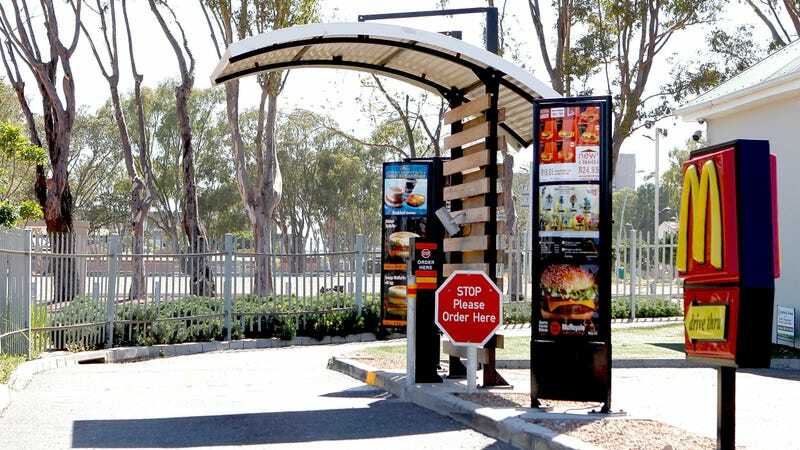 McDonald’s has already started drive-thru tech testing in some restaurants, with additional U.S. and international roll-out on the way. Perhaps the new drive-thrus will also include their own digital touchscreens, or be able to read your license plate to predict your order based on previous visits. So the short-armed among us may have to pull up pretty close to the screen, but still: It beats screaming fruitlessly into the speaker.